With great pleasure we would like to announce that preparation for the 2014 edition of the EuroBSDcon has officially started. We encourage all individuals and organizations willing to support and help with the Conference to contact us without delay! Your valuable sponsorship will ensure the success of EuroBSDcon 2014 by allowing us to bring in speakers and developers, provide them with accommodation, and facilities rental or allow specific good and services for the attendees (T-shirt, lunch, etc). Direct payment of speaker travel and accommodations will count towards your sponsorship level. 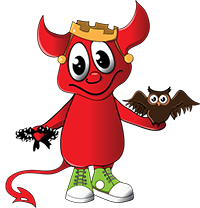 The FreeBSD Foundation is a 501(c)(3) non-profit organization dedicated to supporting and promoting the FreeBSD Project and community worldwide. 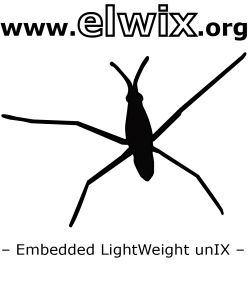 Funding comes from individual and corporate donations and is used to fund and manage projects, fund conferences and developer summits, and provide travel grants to FreeBSD developers. The Foundation purchases hardware to improve and maintain FreeBSD infrastructure and publishes the FreeBSD Journal, FreeBSD white papers, and marketing material to promote, educate, and advocate for the FreeBSD Project. The Foundation also represents the FreeBSD Project in executing contracts, license agreements, and other legal arrangements that require a recognized legal entity. iXsystems is the industry leader in Open-Source-friendly enterprise servers and storage solutions. All of our products are assembled, tested, and shipped from company headquarters in Silicon Valley, and technical support is provided in-house by the same engineers that build the systems. Thousands of companies, universities, and U.S. Government departments have come to rely on iXsystems’ customer-first commitment to excellence. iXsystems champions the cause of Open Source technology by dedicating extensive resources to several FreeBSD community projects: FreeNAS, PC-BSD, FreeBSD, TrueOS, and OpenZFS. around the world with information every day! Read more on their travel grants! 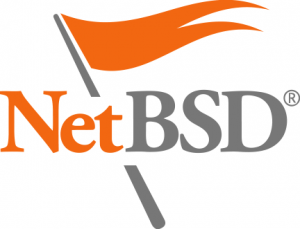 The NetBSD Foundation is the legal entity that owns the intellectual property and trademarks associated with NetBSD. ARM is a leader in microprocessor Intellectual Property. ARM designs and licenses fast, low-cost, power-efficient RISC processors, peripherals and “system-chip” solutions for embedded control, consumer/educational multimedia, DSP and portable applications. ARM supports its processor offerings with development hardware and software and contract design services. ARM licenses its technology to leading semiconductor, software and OEM partners worldwide who focus on applications, design and manufacturing. Madison Gurkha supports organizations with high quality services to efficiently identify, mitigate and prevent IT security risks. Esdenera is dedicated to the development of new networking and security technology that is catching the pace of modern cloud-based, decentralized, mobile and software-defined networks. PC Engines offers ALIX and APU, small single board computers optimized for networking applications. Euro Games Technology Ltd (EGT) is a leading gaming manufacturer worldwide with headquarters located in Bulgaria and representative offices spread across Europe, Asia, Africa and South America. The company specializes in the design, development, manufacturing and distribution of a diverse range of gaming products. Threema is a mobile messaging app that puts security first. With true end-to-end encryption, you can rest assured that only you and the intended recipient can read your messages. Unlike other popular messaging apps (including those claiming to use encryption), even we as the server operator have absolutely no way to read your message. Building the next-gen container cloud hosting platform.